Much like other precious metals used for jewellery, pure silver is too soft and malleable to be used in its pure form. As a result, it often alloyed with other metals to produce a durable metal which is less easily damaged. Sterling silver is the most popular, consisting of 92.5% pure silver and 7.5% copper. Over the years, many metals have been used to alloy with silver. Copper however remains the best partner for this precious metal, improving on the metal’s hardness and durability without affecting its brilliance. The small amount of copper which is added to sterling silver has very little effect on the value. 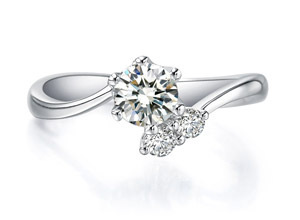 It is instead the level of craftsmanship and intricacy of the design which effects the cost of the engagement ring. Make sure to look for the ‘fineness’ quality mark and maker’s mark on the underside of your silver engagement ring, to ensure the item you are purchasing is the best quality sterling silver. 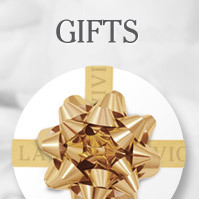 Quality silver jewellery will last a lifetime if cared for and cleaned regularly. To prevent tarnish build up when not wearing your jewellery, store your ring in a cloth pouch or clear plastic wallet. This should inhibit the natural dulling which occurs when silver reacts with hydrogen sulphide in the air. 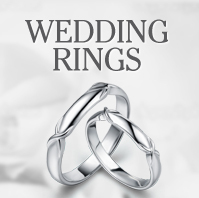 There are a number of specifically formulated polishes and cloths available to clean your silver wedding or engagement ring. 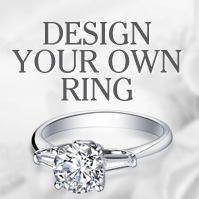 For more information about our sterling silver wedding and engagement rings, talk to one of our advisors today.